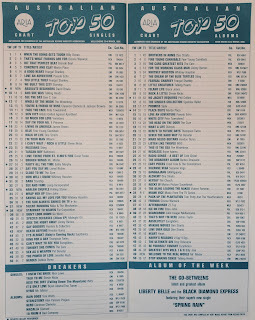 In my look back at the ARIA singles chart from decades past, we've seen songs like "Sounds Of Then (This Is Australia)" and "Throw Your Arms Around Me" that you would've thought were bigger hits given how iconic they've become. Well, at least they were hits at all. This week in 1986, a song that is generally regarded as a rock classic in its original form reached the top 50 for the first time... but only because someone else covered it. Since the original recording has never been released as a single, it hasn't been a chart hit. The remake (from a band put together by the man behind Boney M and Milli Vanilli) changed all that. A song that was subsequently covered by Boyzone in 1999 was at number 1 in Australia this week in 1986. Billy Ocean stayed on top for a second week with "When The Going Gets Tough, The Tough Get Going". The first proper solo single (after duet "Out In The Fields") for the ex-Thin Lizzy guitarist made little impression, but some big singles would follow in 1987 and 1990. The third and final top 100 entry for the British band whose "It's My Life" was later covered by No Doubt. Their biggest hit locally was "Talk Talk" (number 33 in 1982). A debut top 100 appearance for Christian rockers Petra - with a music video that's so '80s it hurts. The accompanying album of the same name featured a cover of "God Gave Rock And Roll To You". After two straight top 20 hits, Hoodoo Gurus' chart fortunes took a dive with this more laidback single from Mars Needs Guitars!, which had racked up 32 weeks on the albums chart by this point. The band flew to the Northern Territory to shoot footage for the music video at Kakadu National Park. Ooh-wee! Led Zeppelin's "Stairway To Heaven" is a rock classic - no two ways about it. Not bad for an album track that was never released as a single and therefore never able to become a chart hit. The eight-minute epic was included on Led Zeppelin IV in 1971 and would only become eligible for singles charts around the world once digital downloads began to be counted in the late '00s. In Australia, it's still to register on the ARIA top 100. 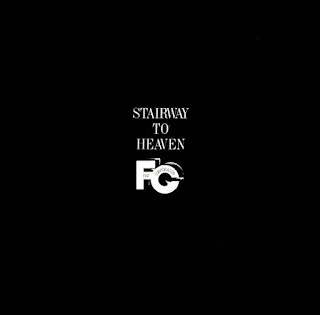 In 1986, 15 years after the original version was released, British group Far Corporation released their own take on the song, resulting in a UK top 10 hit and the first Australian chart appearance for "Stairway To Heaven". Masterminded by Frank Farrian, the brain behind late '70s chart dominators Boney M and future Grammy Award recipients Milli Vanilli, Far Corporation gave the song a very '80s spin - all synths and gospel choir. Included in Far Corporation's line-up was ex-Toto singer Bobby Kimball, who'd been sacked by his former band following their hit-laden Toto IV album. Peter Gabriel had scored a top 30 hit with "Shock The Monkey" and would soon have even bigger singles on his hands, while Phil Collins had released hit after hit in recent years, so why shouldn't Mike Rutherford also have some chart action away from Genesis? Well, he'd tried. After crashing and burning with two solo albums in the early '80s, Mike's time came with the band he'd put together as a side project from Genesis. Called Mike + The Mechanics, the band comprised Mike on guitars, Adrian Lee on keyboards, Peter Van Hooke on drums and two singers named Paul: Paul Young (no, not that Paul Young) and Paul Carrack. Debut single "Silent Running (On Dangerous Ground)" featured vocals by the latter and got its subtitle from the little-known film On Dangerous Ground, in which it featured but was not written about. Instead, the lyrics of the song played out in the music video, for which there was a full-length version released as well. Next up, the first of two new entries from each of the singers behind 1985's charity single "Dancing In The Street". After a period of solo work, Mick Jagger was theoretically back with The Rolling Stones for their 18th (or 20th, if you lived in the US) studio set, Dirty Work - but the frontman's involvement in the album was reduced on account of those other projects, leading to increased tensions between him and guitarist Keith Richards. Despite the behind-the-scenes turmoil, the Stones landed their 24th top 10 hit in Australia with the lead single from Dirty Work. Originally released in 1963 by soul duo Bob & Earl (which was later sampled by House Of Pain), the band's remake of "Harlem Shuffle" was their biggest hit since 1981's chart-topper, "Start Me Up". As it turned out, it would be their final single to reach the top 10 locally. Fun fact: the music video for "Harlem Shuffle" featured animation directed by the future creator of The Ren & Stimpy Show, John Kricfalusi. Coincidentally, Mick Jagger's duet partner on "Dancing In The Street" also debuted on the ARIA chart this week in 1986 with his latest - and what would be his final - top 10 hit. In David Bowie's case, his top 10 tally came to a more modest eight singles, and "Absolute Beginners" marked the first time two of those had been consecutive. The theme tune to the movie of the same name (which was based on the book of the same name), "Absolutely Beginners" was actually recorded immediately before the session for "Dancing In The Street" took place but, as you'd expect, had its release held back until the movie was in cinemas. David also appeared in the film, which was a resounding flop - a situation that would be repeated with another movie project before the year was out. Next week: the song that would end up as the year's biggest single debuted on the chart, along with the second hit for a two-hit wonder and the latest from Australia's biggest music export. The Gary Moore track isn't bad, especially the piano middle-8 breakdown. A very 80's video/sound for the Petra track, as you say. I first heard 'Life's What You Make It' on rage about 10 years ago, and thought it was almost Depeche Mode-esque in production and mood (not really vocally though). discogs.com has a Filipino 7" of 'Stairway to Heaven' listed, pressed in 1972. I always wonder if such releases are entirely legitimate though. I hadn't heard the Far Corporation version until 2 years ago when finding it on a VHS tape. I like it, but it is kind of pointless. I've no doubt that when Robert Plant and/or Jimmy Page die, 'Stairway to Heaven' will become a chart hit, as morbid as it might be to say it. 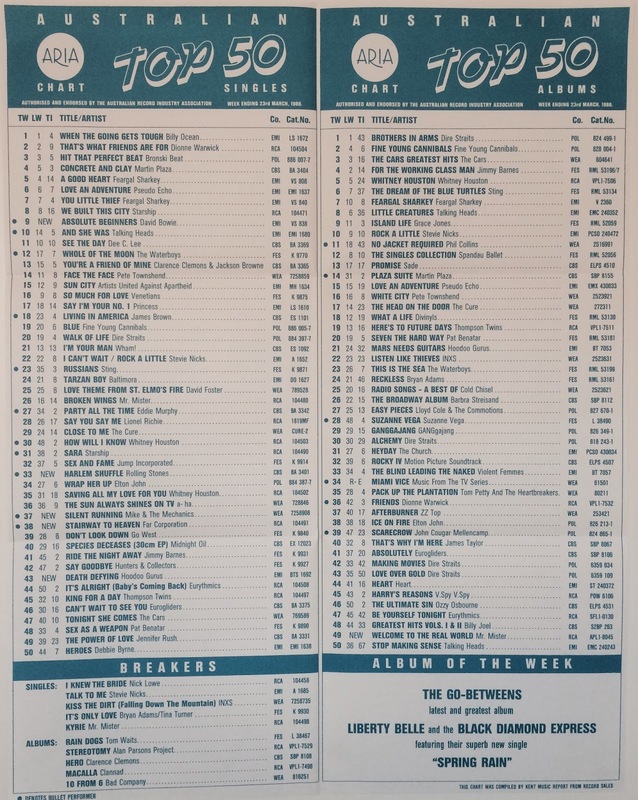 'Harlem Shuffle' and 'Absolute Beginners' completely passed me by, which is odd for #6 and #5 hits, though I don't think either sounds like a top 10 hit.